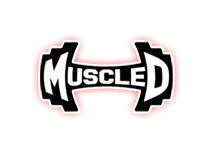 Muscle D Fitness’s ownership and management is comprised of fitness industry veterans with well over 100 years in combined experience. Brian Lewallen, one of the founders, started in the strength business with Muscle Dynamics in 1977 with the heritage of private labeling benches, racks, and machines for Joe Gold of Gold’s Gym, Venice, CA and the famous Muscle Beach. The company grew to many millions of dollars with a network of dealers throughout the USA and internationally. MD was renowned for the anatomical correctness of their equipment and the outstanding customer service given to dealers and customers alike. We have the Muscle D Triple Dumbbell Rack for sale. Bulk orders? Call (714) 957-2765 for best pricing and a custom shipping quote. We have the Muscle D Preacher Curl Bench for sale. Bulk orders? Call (714) 957-2765 for best pricing and a custom shipping quote. We have the Muscle D 45 Degree Linear Leg Press for sale. Bulk orders? Call (714) 957-2765 for best pricing and a custom shipping quote. We have the Muscle D 30 Degree Linear Hack Squat for sale. Bulk orders? Call (714) 957-2765 for best pricing and a custom shipping quote. We have the Muscle D Compact Half Rack for sale. Bulk orders? Call (714) 957-2765 for best pricing and custom shipping quote. We have the Muscle D Hex Dumbbell Rack for sale. Bulk orders? Call (714) 957-2765 for best pricing and custom shipping quote. We have the Muscle D Kettlebell Rack for sale. Bulk orders? Call (714) 957-2765 for best pricing and custom shipping quote. We have the Muscle D Glute Ham for sale. Bulk orders? Call (714) 957-2765 for best pricing and a custom shipping quote. We have the Muscle D Flat Bench for sale. Bulk orders? Call (714) 957-2765 for best pricing and a custom shipping quote. We have the Muscle D DeLuxe Half Rack for sale. Bulk orders? Call (714) 957-2765 for best pricing and a custom shipping quote. We have the Muscle D Adjustable Decline Bench for sale. Bulk orders? Call (714) 957-2765 for best pricing and a custom shipping quote.